This is a Chinese name; the family name is Zhang (张). Zhang Yimou ([ʈʂáŋ î.mǒu]; born 2 April 1950) is a Chinese film director, producer, writer and actor, and former cinematographer. He is part of the Fifth Generation of Chinese filmmakers, having made his directorial debut in 1987 with Red Sorghum. Zhang has won numerous awards and recognitions, with Best Foreign Film nominations for Ju Dou in 1990, Raise the Red Lantern in 1991, and Hero in 2003, Silver Lion and Golden Lion prizes at the Venice Film Festival, Grand Jury Prize at the Cannes Film Festival, and the Golden Bear at the Berlin International Film Festival. In 1993, he was a member of the jury at the 43rd Berlin International Film Festival. Zhang directed the opening and closing ceremonies of the 2008 Beijing Summer Olympic Games, which received considerable international acclaim. One of Zhang's recurrent themes is the resilience of Chinese people in the face of hardship and adversity, a theme which has been explored in such films as To Live (1994) and Not One Less (1999). His films are particularly noted for their rich use of colour, as can be seen in some of his early films, like Raise the Red Lantern, and in his wuxia films like Hero and House of Flying Daggers. His highest budgeted film to date is the 2016 monster film The Great Wall, set in Imperial China and starring Matt Damon. Zhang was born Zhang Yimou (张诒谋) in Xi'an, the capital of Shaanxi province. Zhang's father, Zhang Bingjun (张秉钧), a dermatologist, had been an officer in the National Revolutionary Army under Chiang Kai-shek during the Chinese Civil War; an uncle, and an elder brother had followed the Nationalist forces to Taiwan after their 1949 defeat. Zhang's mother, Zhang Xiaoyou (张孝友), was a doctor at the 2nd Hospital affiliated Xi'an Jiao Tong University who graduated from Xi'an Medical University. He has two younger brothers, Zhang Weimou (张伟谋) and Zhang Qimou (张启谋). As a result, Zhang faced difficulties in his early life. During the Cultural Revolution of the 1960s and 1970s, Zhang left his school studies and went to work, first as a farm labourer for 3 years, and later at a cotton textile mill for 7 years in the city of Xianyang. During this time he took up painting and amateur still photography, selling his own blood to buy his first camera. In 1978, he went to Beijing Film Academy and majored in photography. He has an Honorary Doctorate Degree from Boston University and also one from Yale University. When the Beijing Film Academy reopened its doors to new students in 1978, following the abandonment of policies adopted during the Cultural Revolution, Zhang, at 27, was over the regulation age for admission, and was without the prerequisite academic qualifications. After a personal appeal to the Ministry of Culture, and showing a portfolio of his personal photographic works, the authorities relented and admitted him to the Faculty of Cinematography. Zhang graduated with the class of 1982, which also included Chen Kaige, Tian Zhuangzhuang, and Zhang Junzhao. The class went on to form the core of the Fifth Generation, who were a part of an artistic reemergence in China after the end of the Cultural Revolution. Zhang and his co-graduates were assigned to small regional studios, and Zhang was sent to work for the Guangxi Film Studio as a cinematographer. Though originally intended to work as director's assistants, the graduates soon discovered there was a dearth of directors so soon after the Cultural Revolution, and gained permission to start making their own films. This led to the production of Zhang Junzhao's One and Eight, on which Zhang Yimou worked as director of photography, and Chen Kaige's Yellow Earth, in 1984. These two films were successes at the Hong Kong Film Festival and helped to bring the new Chinese cinema to the attention of worldwide audiences, signaling a departure from the earlier propagandist films of the Cultural Revolution. Yellow Earth is today widely considered the inaugural film of the Fifth Generation directors. In 1985, after moving back to his home town of Xi'an, Zhang was engaged as cinematographer and lead actor for director Wu Tianming's upcoming film Old Well, which was subsequently released in 1987. The lead role won Zhang a Best Actor award at the Tokyo International Film Festival. 1987 saw the release of Zhang's directorial debut, Red Sorghum, starring Chinese actress Gong Li in her first leading role. Red Sorghum was met with critical acclaim, bringing Zhang to the forefront of the world's art directors, and winning him a Golden Bear for Best Picture at the 38th Berlin International Film Festival in 1988. Codename Cougar (or The Puma Action), a minor experiment in the political thriller genre, was released in 1989, featuring Gong Li and eminent Chinese actor Ge You. However, it garnered less-than-positive reviews at home and Zhang himself later dismissed the film as his worst. In the same year, Zhang began work on his next project, the period drama Ju Dou. Starring Gong Li in the eponymous lead role, along with Li Baotian as the male lead, Ju Dou, garnered as much critical acclaim as had Red Sorghum, and became China's first film to be nominated for an Academy Award for Best Foreign Language Film. Ju Dou highlighted the way in which the "gaze" can have different meanings, from voyeurism to ethical appeal. In 1989, he was a member of the jury at the 16th Moscow International Film Festival. After the success of Ju Dou, Zhang began work on Raise the Red Lantern. Based on Su Tong's novel Wives and Concubines, the film depicted the realities of life in a wealthy family compound during the 1920s. Gong Li was again featured in the lead role, her fourth collaboration with Zhang as director. Raise the Red Lantern received almost unanimous international acclaim. Film critic Roger Ebert of the Chicago Sun-Times noted its "voluptuous physical beauty" and sumptuous use of colours. Gong Li's acting was also praised as starkly contrasting with the roles she played in Zhang's earlier films. Raise the Red Lantern was nominated in the Best Foreign Language Film category at the 1992 Academy Awards, becoming the second Chinese film to earn this distinction (after Zhang's Ju Dou). It eventually lost out to Gabriele Salvatores's Mediterraneo. Zhang's next directorial work, The Story of Qiu Ju, in 1992, once again starring Gong Li in the lead role. The film, which tells the tale of a peasant woman seeking justice for her husband after he was beaten by a village official, was a hit at film festivals and won the Golden Lion award at the 1992 Venice Film Festival. Next, Zhang directed To Live, an epic film based on the novel by Yu Hua of the same name. To Live highlighted the resilience of the ordinary Chinese people, personified by its two main characters, amidst three generations of upheavals throughout Chinese politics of the 20th century. It was banned in China, but released at the 1994 Cannes Film Festival and won the Grand Jury Prize, as well as earning a Best Actor prize for Ge You. To Live was banned in China by the Chinese State Administration of Radio, Film, and Television, due to its critical portrayal of various policies and campaigns of the Communist government. Shanghai Triad followed in 1995, featuring Gong Li in her seventh film under Zhang's direction. The two had developed a romantic as well as a professional relationship, but this would end during production of Shanghai Triad. Zhang and Gong would not work together again until 2006's Curse of the Golden Flower. 1997 saw the release of Keep Cool, a black comedy film about life in modern China. Keep Cool marked only the second time Zhang had set a film in the modern era, after The Story of Qiu Ju. As in The Story of Qiu Ju, Zhang returned to the neorealist habit of employing non-professional actors and location shooting for Not One Less in 1999 which won him his second Golden Lion prize in Venice. Shot immediately after Not One Less, Zhang's 1999 film The Road Home featured a new leading lady in the form of the young actress Zhang Ziyi, in her film debut. The film is based on a simple throw-back narrative centering on a love story between the narrator's parents. Happy Times, a relatively unknown film by Zhang, was based loosely on the short story Shifu: You'll Do Anything for a Laugh, by Mo Yan. Starring popular Chinese actor Zhao Benshan and actress Dong Jie, it was an official selection for the Berlin International Film Festival in 2002. Zhang's next major project was the ambitious wuxia drama Hero, released in China in 2002. With an impressive lineup of Asian stars, including Jet Li, Maggie Cheung, Tony Leung Chiu-Wai, Zhang Ziyi, and Donnie Yen, Hero told a fictional tale about Ying Zheng, the King of the State of Qin (later to become the first Emperor of China), and his would-be assassins. The film was released in North America in 2004, two years after its Chinese release, by American distributor Miramax Films, and became a huge international hit. Hero was one of the few foreign-language films to debut at number 1 at the U.S. box office, and was one of the nominees for Best Foreign Language Film at the 2003 Academy Awards. Zhang followed up the huge success of Hero with another martial arts epic, House of Flying Daggers, in 2004. Set in the Tang Dynasty, it starred Zhang Ziyi, Andy Lau, and Takeshi Kaneshiro as characters caught in a dangerous love triangle. House of Flying Daggers received acclaim from critics, who noted the use of colour that harked back to some of Zhang's earlier works. Released in China in 2005, Riding Alone for Thousands of Miles was a return to the more low-key drama that characterized much of Zhang's middle period pieces. The film stars Japanese actor Ken Takakura, as a father who wishes to repair relations with his alienated son, and is eventually led by circumstance to set out on a journey to China. Zhang had been an admirer of Takakura for over thirty years. 2006's Curse of the Golden Flower saw him reunited with leading actress Gong Li. Taiwanese singer Jay Chou and Hong Kong star Chow Yun-fat also starred in the period epic based on a play by Cao Yu. Zhang's recent films, and his involvement with the 2008 Olympic ceremonies, have not been without controversy. Some critics claim that his recent works, contrary to his earlier films, have received approval from the Chinese government. However, in interviews, Zhang has said that he is not interested in politics, and that it was an honour for him to direct the Olympic ceremonies because it was "a once-in-a-lifetime opportunity." In 2008, he won a Peabody Award "for creating a spell-binding, unforgettable celebration of the Olympic promise, featuring a cast of thousands" at the opening ceremony of the Beijing Olympics. On May 24, 2010, Zhang was awarded an honorary Doctor of Fine Arts degree by Yale University, and was described as "a genius with camera and choreography." Zhang's 2011 The Flowers of War was his most expensive film to date, budgeting for $90.2 million, until his 2016 The Great Wall surpassed it with a budget of $150 million. After the mixed reception and financial failure of The Great Wall, Zhang returned in 2018 with the critically acclaimed Shadow, which received 12 nominations at the 55th Golden Horse Awards and eventually won four, including Best Director. Reception of Zhang Yimou's films has been mixed. While some critics praise his striking aesthetics and ability to break into the Western art market, other have attacked Zhang for pandering to Western audiences and portraying China as weak, exotic, and vulnerable. Starting in the 1990s, Zhang Yimou has been directing stage productions in parallel with his film career. In 1998, he directed an acclaimed version of Puccini's opera Turandot, firstly in Florence and then later Turandot at the Forbidden City, Beijing, with Zubin Mehta conducting, the latter documented in the film The Turandot Project (2000). He reprised his version of Turandot in October 2009, at the Bird's Nest Stadium in Beijing, and plans to tour with the production in Europe, Asia and Australia in 2010. In 2001, Zhang adapted his 1991 film Raise the Red Lantern for the stage, directing a ballet version. Zhang has co-directed a number of outdoor folk musicals under the title Impression. These include Impression, Liu Sanjie, which opened in August 2003 at the Li River, Guangxi province; Impression Lijiang, in June 2006 at the foot of Jade Dragon Snow Mountain in Lijiang, Yunnan province; Impression West Lake, in late 2007 at the West Lake in Hangzhou, Zhejiang province; Impression Hainan in late 2009, set in Hainan Island; and Impression Dahongpao set on Mount Wuyi, in Fujian province. All five performances were co-directed by Wang Chaoge and Fan Yue. Zhang also led the production of Tan Dun's opera, The First Emperor, which had its world premiere at the Metropolitan Opera on 21 December 2006. Zhang Yimou was chosen to direct the Beijing portion of the closing ceremonies of the 2004 Summer Olympics in Athens, Greece, as well as the opening and closing ceremonies of the 2008 Summer Olympics in Beijing, China, alongside co-director and choreographer Zhang Jigang. Zhang was a runner-up for the Time Magazine Person of the Year award in 2008. Steven Spielberg, who withdrew as an adviser to the Olympic ceremonies to pressure China into helping with the conflict in Darfur, described Zhang's works in the Olympic ceremonies in Time magazine, saying "At the heart of Zhang's Olympic ceremonies was the idea that the conflict of man foretells the desire for inner peace. This theme is one he's explored and perfected in his films, whether they are about the lives of humble peasants or exalted royalty. This year he captured this prevalent theme of harmony and peace, which is the spirit of the Olympic Games. In one evening of visual and emotional splendor, he educated, enlightened, and entertained us all." Associated Press reported on May 9, 2013 that Zhang was being investigated for violating China's one-child policy. AP reported that he had allegedly fathered 7 children with 4 women, and faced large potential fines. According to the mainstream media in China, Zhang married Chen Ting, who is a dancer in December 2011; she had three children with him. However, when the news came out, Zhang had no immediate response. On November 29, 2013, under pressure from the public and criticism on the Internet, Zhang's studio released a statement that acknowledged Chen Ting and their three children. On January 9, 2014, the Lake District Family Planning Bureau, in accord with China's one-child policy, said Zhang was required to pay an unplanned birth and social maintenance fee totaling RMB 7.48 million (roughly US $1.2 million). On February 7, 2014, it was reported that Zhang had paid the fee. ^ a b c Farquhar, Mary (May 2002). "Zhang Yimou". Senses of Cinema. Archived from the original on 2010-10-13. Retrieved 2010-09-27. ^ Tasker, Yvonne (2002). 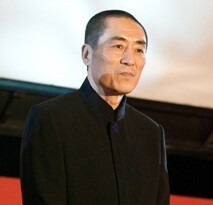 "Zhang Yimou" in Fifty Contemporary Filmmakers. Routledge Publishing, p. 412. ISBN 0-415-18974-8. Google Book Search. Retrieved 2008-08-21. ^ Jonathan Crow. "Zhang Yimou - Biography". Allmovie. Retrieved 2009-01-12. ^ "Zhang Yimou Bio". tribute.ca. Retrieved 2010-09-01. ^ "Berlinale: 1993 Juries". berlinale.de. Retrieved 2011-05-29. ^ 张艺谋的父亲母亲及家族历史 [History of Zhang Yimou's Parents and Family]. iFeng (in Chinese). 2008-10-05. ^ Memoirs from the Beijing Film Academy: The Genesis of China's Fifth Generation. Ni Zhen, translated by Chris Berry. Durham, NC: Duke University Press, 2002, pp. 44. ^ a b c "Zhang Yimou". Retrieved 29 July 2017. ^ Memoirs from the Beijing Film Academy: The Genesis of China's Fifth Generation. Ni Zhen, translated by Chris Berry. Durham, NC: Duke University Press, 2002, pp. 45-6. ^ "China's Zhang Yimou Mentors Palestine's Annemarie Jacir 2010-2011". "Rolex Mentor and Protégé Journal". Retrieved 29 July 2017. ^ "Architect of Beijing's Olympic Ceremonies to Receive Honorary Degree | BU Today | Boston University". BU Today. Retrieved 2017-10-25. ^ "Citations for Recipients of Honorary Degrees at Yale University 2010". YaleNews. 2010-05-24. Retrieved 2017-10-25. ^ Zhang Yimou (2008). "Going to Film Academy, Changed My Life" 《考上电影学院，改变了我一生》. 《青年文摘》 [Youth Literary Digest] (in Chinese). Beijing: China Youth Press. pp. 122–125. ISBN 978-7-5006-6468-0. ^ a b c d Crow, Jonathan. "Zhang Yimou". New York Times. Retrieved 2010-09-01. ^ Zhang Yingjin (2003-10-10). "A Centennial Review of Chinese Cinema". The University of California, San Diego. Archived from the original on 2008-09-07. Retrieved 2008-08-21. ^ "A Brief History of Chinese Film". The University of Edinburgh-Cinema China '07. Archived from the original on 2008-06-06. Retrieved 2008-08-21. ^ "Berlinale - Archive - Annual Archives - 1988 - Prize Winners". Berlin International Film Festival. Retrieved 2008-08-21. ^ Neo, David (September 2003). "Red Sorghum: A Search for Roots". Senses of Cinema. Archived from the original on 2008-08-02. Retrieved 2008-08-28. ^ "16th Moscow International Film Festival (1989)". MIFF. Archived from the original on March 16, 2013. Retrieved 2013-02-24. ^ Ebert, Roger (1992-03-12). "Raise the Red Lantern :: rogerebert.com :: Reviews". Chicago Sun-Times. Retrieved 2008-08-21. ^ Kleid, Beth (September 14, 1992). "MOVIES." Los Angeles Times, p. 2. ^ "Festival de Cannes: Awards 1994". Cannes Film Festival. Retrieved 2008-08-21. ^ Zhang Yimou. Frances K. Gateward, Yimou Zhang, University Press of Mississippi, 2001, pp. 63-4. ^ Ebert, Roger (1996-02-16). "Shanghai Triad". Chicago Sun Times. Retrieved 2008-08-21. ^ Kraicer, Shelly (2001). "Not One Less". Persimmons. 1 (3): 85. Retrieved 9 September 2009. ^ Rea, Steven (24 March 2000). "In a Chinese village, the teacher is 13". The Philadelphia Inquirer. ^ Feinstein, Howard (6 February 2000). "Losing a Muse and Moving On". The New York Times. Retrieved 9 September 2009. ^ Rooney, David (1999-09-13). "Chinese best at Venice fest". Variety. Retrieved 2008-08-21. ^ "Kung Fu Power for 'Hero' at Box Office". The New York Times. 2004-08-30. Retrieved 2008-08-21. ^ Gough, Neil (2004-04-12). "Zhang Yimou Interview". Time. Retrieved 2008-08-21. ^ "House of Flying Daggers". Metacritic. Retrieved 2009-01-14. ^ "Zhang Yimou's new film makes domestic debut". China Daily. 2005-12-18. Retrieved 2008-08-21. ^ Catsoulis, Jeannette (2006-12-21). "Curse of the Golden Flower - Movie - Review". The New York Times. Retrieved 2008-08-21. ^ Barboza, David (2008-08-07). "Gritty Renegade Now Directs China's Close-Up". The New York Times. Retrieved 2009-01-01. ^ "Big expectations for Zhang Yimou's The 13 Women of Nanjing". Asia Pacific Arts. 2011-04-18. ^ Patrick Brzeski (December 15, 2016). "'The Great Wall': Why the Stakes Are Sky-High for Matt Damon's $150M Chinese Epic". The Hollywood Reporter. Retrieved December 29, 2016. ^ Larson, Wendy (2017). Zhang Yimou: Globalization and the Subject of Culture. USA: Cambria Press. pp. 1–11. ISBN 9781604979756. ^ Eckholm, Erik (1998-09-01). "Turandot - Directed by ZHANG Yimou, at the Forbidden City Beijing". The New York Times. Retrieved 2008-08-21. ^ ""Liu Sanjie" performed in natural scenic setting". China Daily. 2003-08-17. Retrieved 2008-08-21. ^ Morris, Lois B. & Lipsyte, Robert (2006-10-01). "The Great Wall Rises (and Falls) at the Met". The New York Times. Retrieved 2008-08-21. ^ "Zhang Yimou and his five creative generals". Official Website of the Beijing 2008 Olympic Games. Archived from the original on April 28, 2009. Retrieved 2008-08-21. ^ "Person Of The Year 2008". Time. 2008-12-17. ^ "Chinese director investigated for having 7 kids Updated". May 8, 2013. ^ "Director Zhang Yimou Pays $1.2M for Having 3 Kids". go.com. 8 February 2014. Retrieved 8 February 2014. ^ Kevin Ma (June 12, 2014). "Zhang Yimou confirms Great Wall plans". Film Business Asia. Archived from the original on June 15, 2014. Retrieved June 15, 2014. ^ Jen Yamato (December 12, 2014). "King Kong Pic 'Skull Island' Moves To 2017 With New Title; Zhang Yimou's 'Great Wall' Epic Dated For 2016". Deadline Hollywood. Retrieved December 13, 2014. ^ "'Great Wall' Director Zhang Yimou Starts 'Shadow'". May 18, 2017. "Zhang Yimou collected news and commentary". The New York Times. Zhang Yimou's Interview on the Southern Weekend on August 14, 2008.